Follow the four steps below to make your pledge and show to the world you’re doing your part to close the gap. 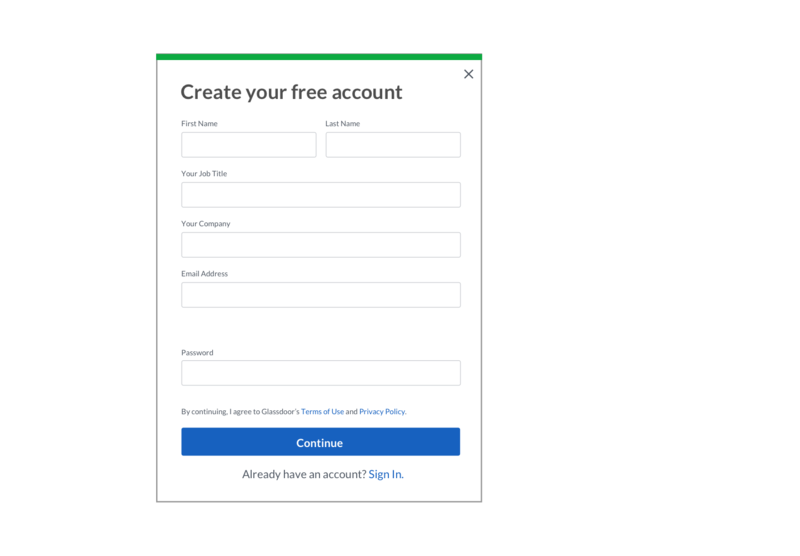 The first thing you will need is a Free Employer Account. Click Sign Up in our menu to complete the sign up form if you don't already have an account. In the Employer Center, look for the Employer Profile button in the left navigation bar. Click on it to show the Employer Profile page. 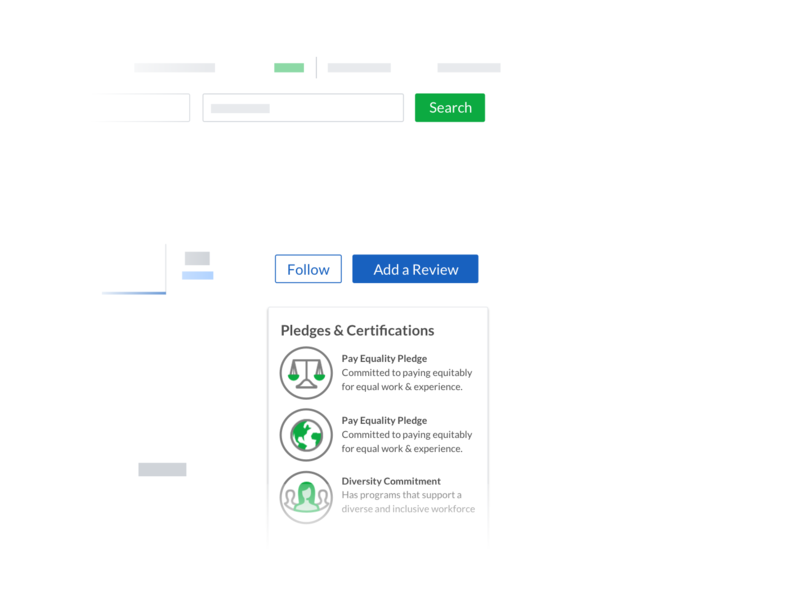 Scroll down to the Pledges & Certifications section. 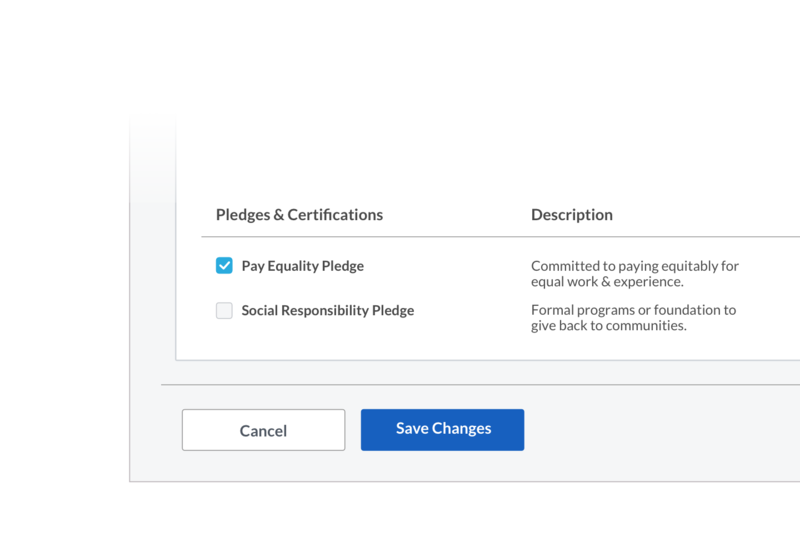 Select the Pay Equality Pledge checkbox. Click Save Changes. 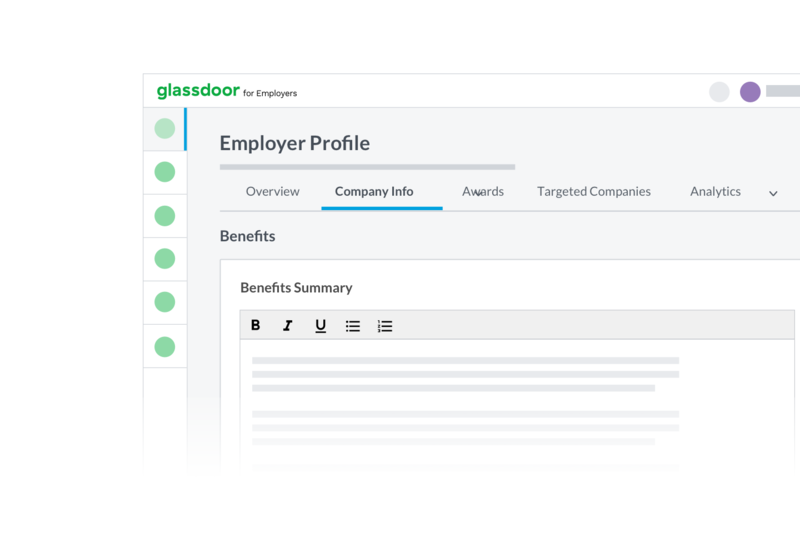 Within a few minutes after you save the change, here's how your pledge will display on your company's Glassdoor Benefits page.